Kingston HyperX Predator DDR4 is some of the most aggressive looking DDR4 available and looks menacing. Make your opponents fear you with Kingston Predator DDR4. 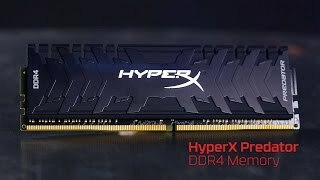 More links for "HyperX Predator 16GB (2x8GB) DDR4 PC4-25600C16 3200MHz Dual Channel Kit (HX432C16PB3K2/16)"